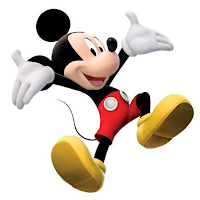 Playhouse Disney Canada Brings You Mickey's Mousekersize! All in favour of an early spring? Raise your hand. Yup, just what I thought. I'm sure most of us are feeling the need to spend more time outdoors with the family instead of cooped up inside, avoiding the freezing temperatures. With spring (and March Break!) just around the corner, it can't come soon enough. You see, I like to take the kids for a walk to the park or to the local grocery store. It's also a lot of fun taking them to the zoo to learn about all the animals. In the winter, however, I totally lack the motivation. I mean, really, who enjoys fussing with snowsuits and winter accessories when you can stay all nice and cozy indoors, playing dress-up, solving puzzles or acting just plain goofy? Unfortunately, my kids don't have a lot of space to run around inside so I struggle to find creative ways to keep them physically active during the winter months. We love putting on some music and getting jiggy with with it, and we try to throw in some yoga here and there. But it's nice to change things up a bit and do different things to keep it fun. Hence the reason why I'm happy to learn that Playhouse Disney Canada is introducing something new to help get your kids hoppin' and a-boppin', a new short form series called Mickey's Mousekersize. 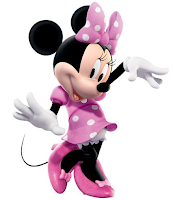 The aim of Mickey's Mousekersize is to encourage healthy lifestyles for pre-schoolers and their families. This healthy initiative couldn't have come at a better time, with recent headlines highlighting the daunting fact that about "twenty-five to 30 per cent of children in Canada are overweight or obese." While a focus on healthy eating is important, so is physical activity, and what better way to get your little ones active than with their favourite Disney characters. Join Mickey, Minnie, Goofy, Donald, Daisy and Pluto as Playhouse Disney embarks on a healthy initiative with Mickey's Mousekersize, airing this Saturday, March 5, 2011 at 9 am ET then available On Demand and at Playhouse Disney Online (for PHD channel subscribers). Visit PlayhouseDisney.ca for more information on additional programming. Disclosure: I’m part of the Playhouse Disney Mom program and I receive special perks as part of my affiliation with this group. The opinions on this blog are my own. Tags: Entertainment, For Kids, Physical Activity, Playhouse Disney Canada, T.V. What a great idea! I know my kids will get up and mousekersize. Yeah, they're cute little shorts that I kind of wish they were a bit longer.